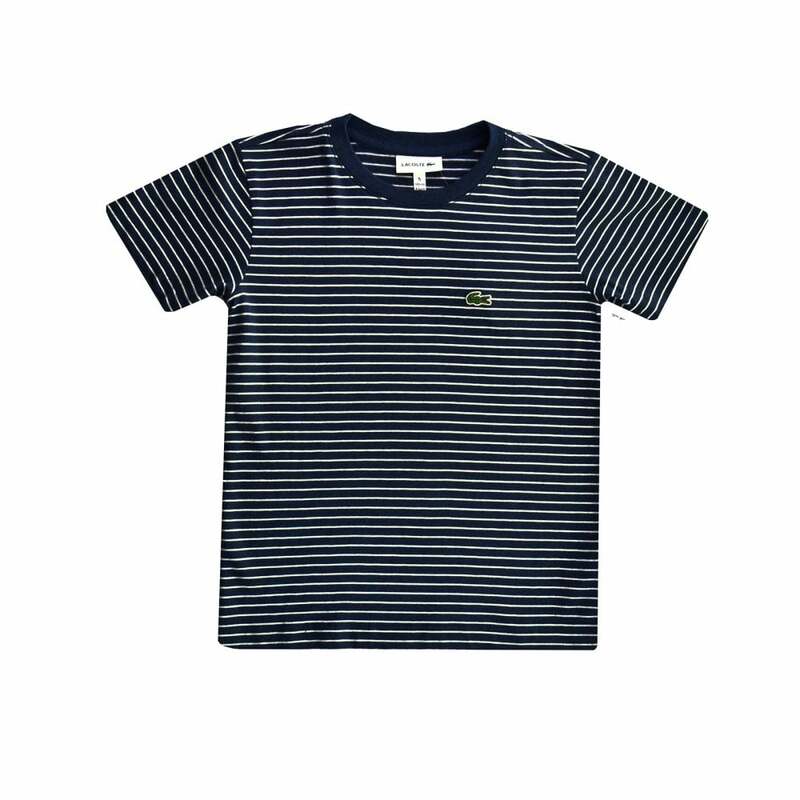 This Lacoste Stripe T-Shirt is 100% cotton and is navy with white stripes. It has a crew neck and is short sleeved. The green Lacoste crocodile logo appears as an embroidered badge on the left chest. It is ideal for any casual occasion.